There are two types of migraine, common and classic. The common migraine, or migraine without aura, usually comes on slowly, producing a throbbing pain that may last for two to seventy-two hours. The pain is severe and is often centered at the temple or behind one ear. Alternatively, it can begin at the back of the head and spread to one entire side of the head (the word “migraine” comes from the Greek hemikrania, which means “half a skull”). It is usually accompanied by nausea, vomiting, blurred vision, and tingling and numbness in the limbs that can last up to eighteen hours. 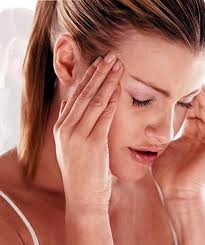 Ocular migraines, cluster headaches and tension headaches are often included in this group. A classic migraine is similar to a common migraine, but it is preceded by a set of symptoms referred to as an aura, which can consist of speech disorders, weakness, and dis­turbances in the senses of vision, touch and/or smell. 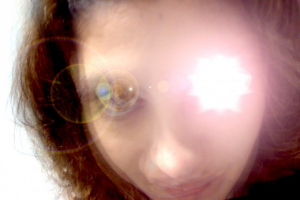 An aura can also consist of brilliant stars, sparks, flashes, or simple geometric forms passing across the visual field. The most common symptom is an inability to see clearly. Visual disturbances may last only a few seconds or may persist for hours, then disappear.